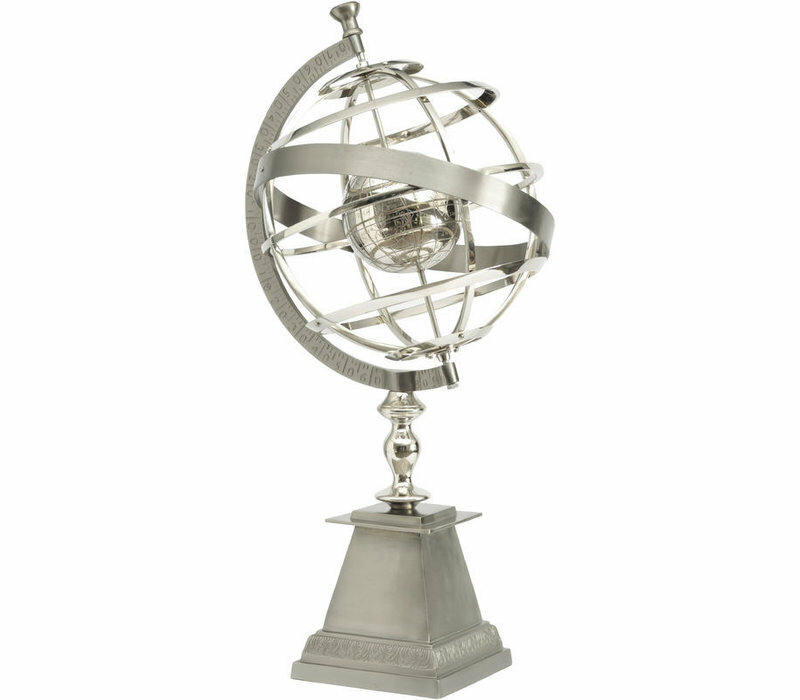 The Miro Satin Grey and Nickel Armilliary is a stunning piece. Every detail will catch your eye, from intricate writing to moving inner and outer globes. Aluminium with nickle finish. 83cm x 40cm.